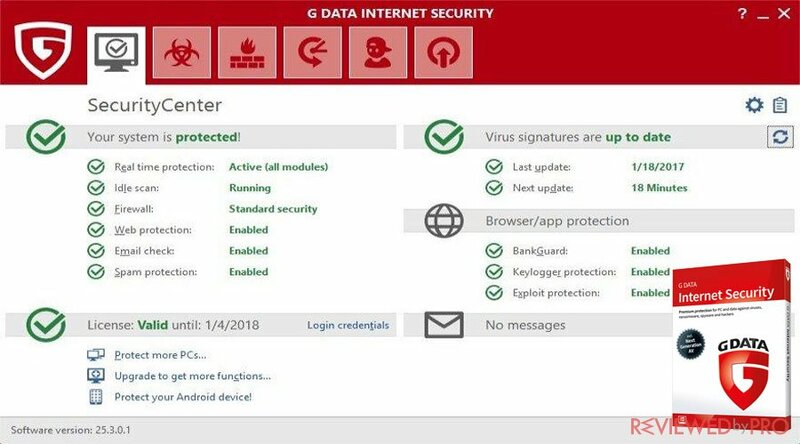 G DATA Antivirus is a piece of software, which not only lets you find threats on your computer but also protects from getting them. This program was created by one of the oldest security software companies G DATA, which was founded in 1985, in Germany and still continues its work today. G DATA applies award-winning solutions for Windows, Android and Mac devices and offers one of the most trustworthy security software worldwide. The company provides Windows users with a wide range of products, including G DATA Antivirus, G DATA Internet Security, and G DATA Total Security. G DATA Antivirus covers security basics and starts at $29.95. The basic package covers one device for a year and offers 30-day money-back guarantee. You can download the program from this page. 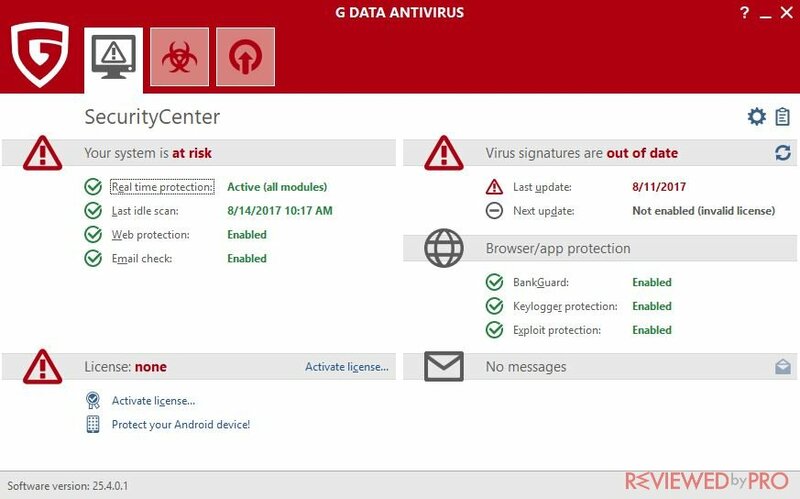 G DATA Antivirus supports Microsoft Windows (7, 8, 8.1, 10), Android (4.0 or higher) and Mac (10.7.5 or higher) platforms. Downloading and installing the software didn’t take long. But it depends on your internet speed because the installation file is quite big. When installing, you will be able to choose the recommended installation settings, which will do the installation for you and you will not need to worry about choosing various settings. We used the software for about 30 days in a row. The computer, which was used for testing, has the Intel i5 processor, 8GB of RAM and HDD. The operating system is Windows 10 (64 bit). 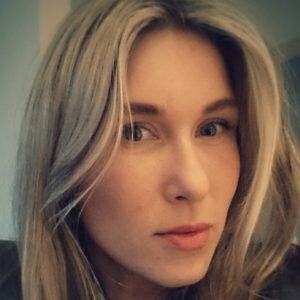 The software itself looks serious and promising – it is powerful and can find even the smallest pieces of malware on your computer. It is possible to scan only your selected locations (USB flash drives, different hard disks and more). In addition, G DATA Antivirus was tested by the independent AV-TEST testing lab. In the most recent tests, conducted in March and April 2018, the antivirus demonstrated average results. Even though D GATA Antivirus detected 100% of widespread and prevalent malware which was discovered in the last month, it only managed to protect against 99.0% and 98.% of malware attacks including web and email threats. The real world testing rates are below average, which is a bit disappointing. G DATA Antivirus is the cheapest tier made available by G DATA and does not offer many features but covers the security essentials. The basic package includes Email Scanning, Exploit Protection, Behavior Monitoring, Anti-Ransomware protection, protection against cybercriminals, Update Management, USB Keyboard Guard, G DATA BankGuard. It also includes customer support English Hotline 24 hours / 365 days. Once we installed the software, we could not notice any performance lags or interruptions. However, if you look more deeply, the software uses a huge chunk of system resources. According to the independent AV-TEST, G DATA slows down the system more than the average antivirus application, as it slows down launching popular websites by 35%, and slows down the installation and launch of popular applications by 46% and 14% respectively. The numbers are higher than the industry average. A full and the only available type of scan is really powerful, but it is very slow. It can take up to two hours to complete a full scan. There are many anti-malware apps, which can complete a full scan in under half an hour and a quick scan in a few minutes. The software also uses more system resources, compared to the market average and slow down the system during the scan. The bright side of the long scan is that we didn’t see such great scan results in a long time. G DATA Antivirus was able to detect infected files that we didn't suspect we had. At a first sight, G DATA looks professional and modern. The interface is easy to understand, it also provides users with a lot of information on the device’s health and the main features. G DATA has many reviews about their products. Most users are very happy with the scan quality as it is able to find even the smallest threats on their computer. But there are issues with a very slow scan and no ransomware protection – many users are not happy about the lack of a quick scan and ransomware protection. Many users are happy about G DATA. Although you will find many different reviews about the software, there are many false facts too. Many of these negative reviews are written by competitive companies or unhappy users, which didn’t manage to use the software properly. To avoid false information, make sure that you visit only trusted sites and these reviews or comments are not created by a robot or newly created users. G DATA Antivirus is a great piece of software after all. Although it has some issues, like the PC performance drops, long scans and the lack of some basic features – it is still a good choice for an everyday user. 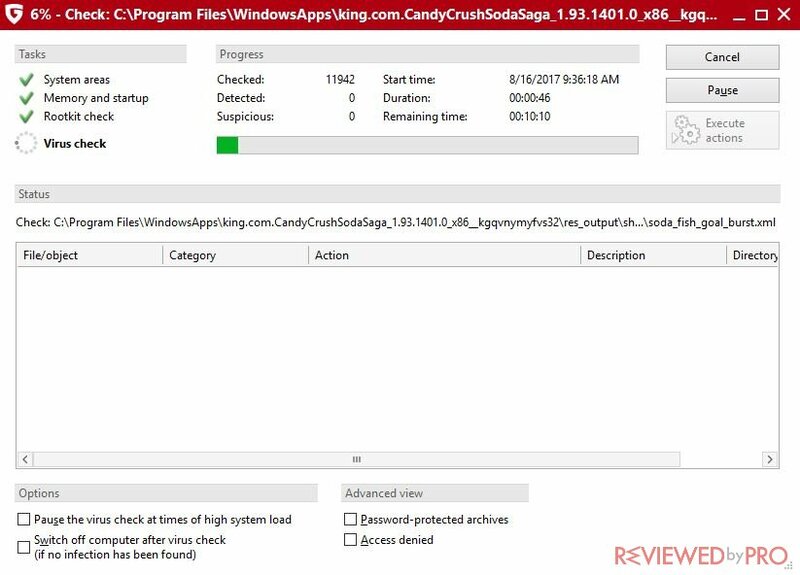 This software will protect your computer from downloading infected files and will surely find them if there are any on your computer already. G DATA Internet Security was developed to keep devices and all the data stored on them secured and protected while browsing and surfing the internet. G DATA Internet Security provides protection against ransomware, secures online banking, and protects users while they are browsing the web. If you want to read more about G DATA Internet Security, click here. Google's mobile operating system Android leads the global market. However, as a result, the malware targeting Android devices increases. In order to protect your mobile Android devices, G DATA developed an advanced G DATA Mobile Internet Security. There are two versions of the software, the free and the premium one. The free version will protect you from suspicious and dangerous mobile apps, check for malware before and after the installation plus on-demand system, and will scan your memory cards. In addition, the app will analyze the authorizations of installed apps. Meanwhile, the premium version of the software will provide you with an advanced security that includes, advanced scans, anti-phishing system, parental controls, call filter, app password protection and more. If you want to find out more about G DATA Mobile Internet Security for Android devices, please click right here. If you want to secure your private messages and information, check out G DATA Secure Chat. This mobile app works just like any other messaging app but much safer. G DATA Secure Chat applies encryption and shield technologies to protect your private text messages from spyware and other surveillance software. It offers a list of features that will ensure your safety and protection, including encrypted group chat, encrypted SMS, voice messages and more. If you want to find out more about G DATA Secure Chat, click here. 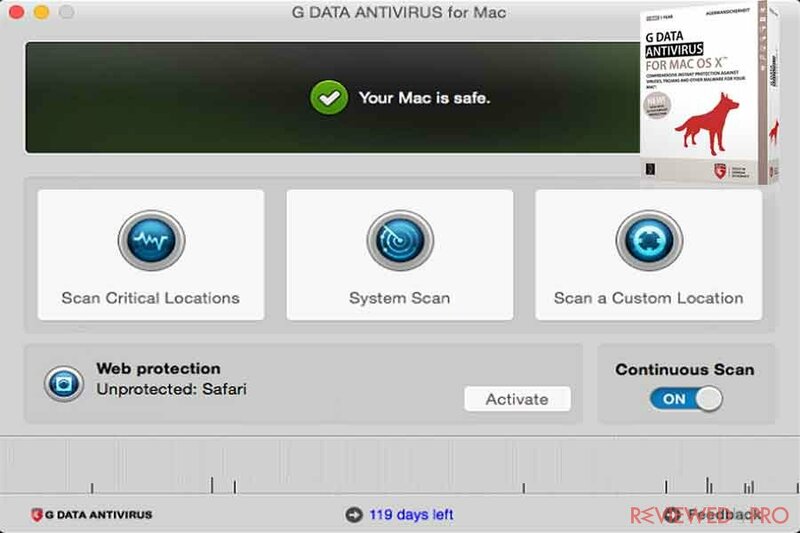 G DATA Antivirus for Mac OS provides consumers with reliable protection against malicious software. G DATA Antivirus for Mac OS offers features including phishing protection, regular virus signature updates, award-winning real-time protection, network protection, and simple user interface. 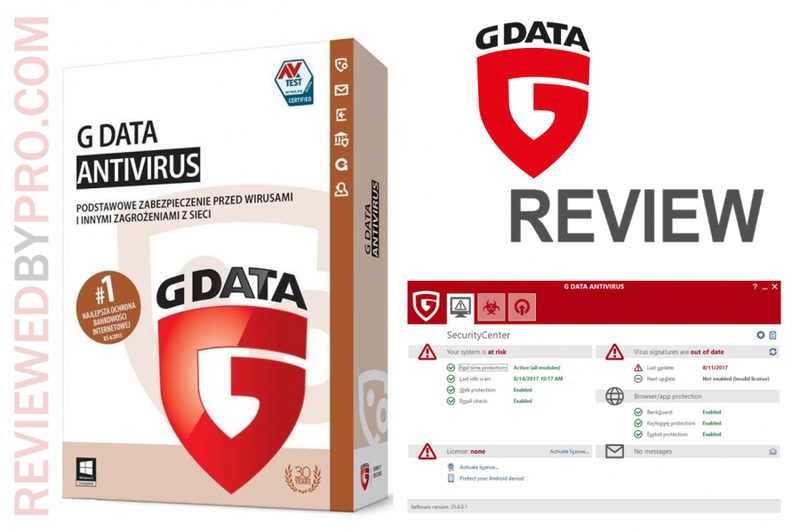 If you want more information about G DATA Antivirus for Mac OS please click here. G DATA AntiVirus and ESET NOD32 Antivirus are both reliable and stable antivirus systems. G DATA AntiVirus would be a great choice for the average user as it is simple and detects even the smallest threats. However, G DATA AntiVirus does not provide protection against ransomware, so if you choose this antivirus application, for complete security you need to install additional ransomware protection. Meanwhile, ESET NOD32 AntiVirus offers customers the highest quality protection against all kinds of threats. ESET NOD32 has perfect malware detection and removal rates, advanced anti-phishing system, reliable real-time protection and even more. For the detailed comparison of G DATA AntiVirus and ESET NOD32 Antivirus click here. ^ G Data Software. Wikipedia, the free encyclopedia. ^ Lincoln Spector. Should I Scan an External Drive for Malware?. PC World. This entry was posted on 2017-08-16 at 02:11 and is filed under Security.